The Ultimate Cookbook BundleThe Ultimate Cookbook Bundle A convenient bundle package, enjoy all four editions of the Food From Our Ancestors eCookbook series for just $12.99! Featuring home-style Italian family recipes like Shrimp Scampi and Eggplant Parmesan, authentic Mexican Posole Rojo and Enchiladas Verdes and homemade Jewish Challah Bread and Beef Brisket, as well as my new Syrian Cookbook you’re going to love this collection of authentic family recipes! The Ultimate Syrian Sunday DinnerDecades in the making, this book is filled with 14 of my most cherished Syrian family recipes passed down over four generations. Recipes include my Great Aunt Vieve’s famous hummus, my Aunt Paula’s baked kibbeh, meat-filled grape leaves, stuffed kousa and more. The Ultimate Syrian Sunday Dinner is the fourth edition of the Food From Our Ancestors eCookbooks series. Kindle users CLICK HERE to order. The Ultimate Jewish Shabbat DinnerThe Ultimate Jewish Shabbat Dinner The Ultimate Jewish Shabbat Dinner is the third edition of the Food From Our Ancestors eCookbooks series. Filled with 15 time-honored, treasured Jewish recipes from Liz’s grandmother, you’re going to love discovering just how easy it is to make Challah Bread, Beef Brisket, Kasha Varnishkes, Ljuba’s Baked Chicken and more! Order Now by clicking below! Kindle users CLICK HERE to order. 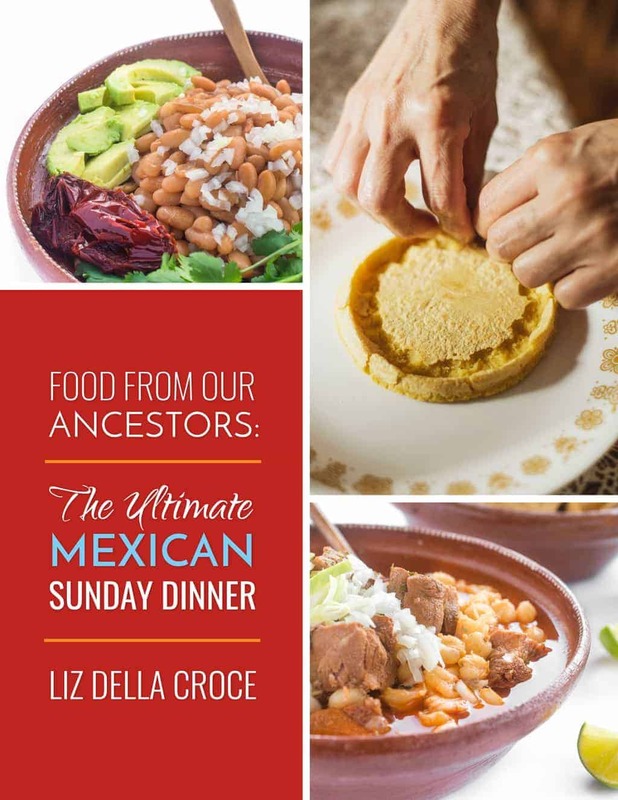 The Ultimate Mexican Sunday DinnerThe Ultimate Mexican Sunday Dinner is the second edition of the Food From Our Ancestors eCookbooks series. Featuring recipes like Enchiladas Verdes, Posole Rojo, Mexican Rice, Salsa Roja and more, each authentic Mexican recipe has been passed down over the generations. Kindle users CLICK HERE to order. 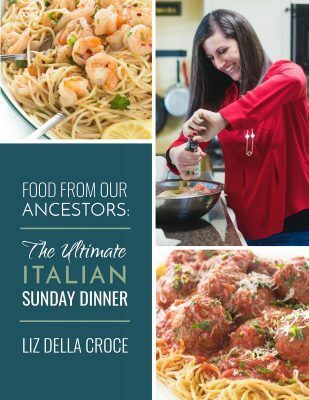 The Ultimate Italian Sunday DinnerFeaturing recipes like Eggplant Parmesan, Pasta e Fagiole, Sunday Gravy and more, #FoodFromOurAncestors is a series of eCookbooks documenting the ethnic recipes of our childhood. The first edition in a series, future cookbooks will include The Ultimate Lebanese Sunday Dinner, The Ultimate Mexican Sunday Dinner, The Ultimate Jewish Shabbat Dinner and more. A completely self-funded passion project, my inspiration for publishing these books are my own children and all future generations who yearn for the authentic food of their ancestors but were never able to get exact recipes from elders who use a ‘pinch of this’ or a ‘splash of that.’ As a healthy food blogger, I believe that everyone would benefit from spending a little more time in the kitchen and gathering together as a family to cook the recipes of generations past. Kindle users CLICK HERE to order.